What can art do for Japan’s reconstruction? Hi there! This is yui from Tokyo. 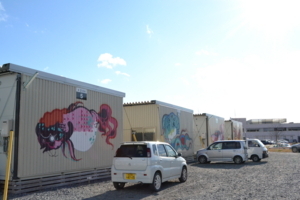 Do you remember the project in Ishinomaki featuring Titi Freak that I reported before on this blog? Let's introduce this project to people in Brazil! And let them know what is happening in Tohoku now and think together about what art can do for the devastated Tohoku region. Titi Freak, who had contributed to attaching unique identities to temporary residents and raising the residents’ quality of life through the Ishinomaki project, talked about the disastrous area on the theme of what he had felt and got through the project in his country Brazil. Venues were Museu Arte Sao Paulo, Universidade de Sao Paulo and Museu Paranaense. We screened the short video produced by the Japan Foundation introducing the situation of Tohoku area in order to remind the audience of the earthquake and tsunami and also help them get the image of ongoing reconstruction in Tohoku. 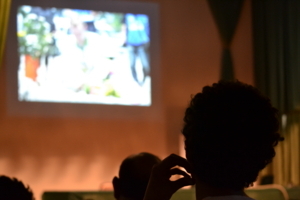 Many of the audience were cried watching the scenes of tsunami or interview to victims. 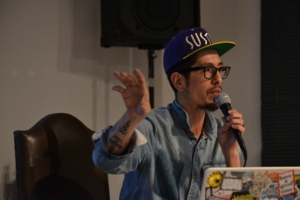 After the screening, Titi Freak gave a lecture with photos of his artworks, scenery and residents of Ishinomaki presented on the screen. He mentioned what he had felt when he first saw the disastrous area, how he had communicated with the residents, what he had learned from the experience in Ishinomaki where his artworks had been accepted, and finally what graffiti can do as an art form. 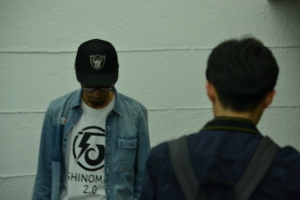 He is actually not so experienced as a lecturer, so he was very nervous with talking in front of such a big audience, but he tried very hard to give them a clue to understand what he had experienced in Ishinomaki. The audience was listening to him as earnestly as Titi was talking. The best part was Q&A session after the lecture. Types of audience were different in each venue, so questions varied from one venue to another. 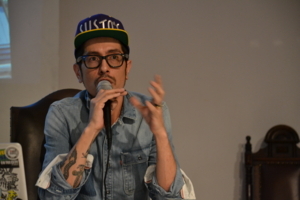 At MASP where many of the audience were art-related people, we had more technical questions on artwork production. At USP with many university students, we had more sociological and academic questions such as how art can contribute to the society. Those questions from the audience shed light on the deeper part of Ishinomaki project. At the end of this article, I want to quote Titi's word. It is the best thing that I was able to help the residents get back their smile through the project. Our Ishinomaki project is just a small project among a number of projects conducted by various people and organizations. However, I want more Brazilian people to know that a Brazilian artist has been involved in one of such projects to support Tohoku through communications with the residents in the affected area for the purpose of improving their lives. Many newspapers and TV stations came to cover our event. I hope that more and more people would know this project and get interested in Japan!